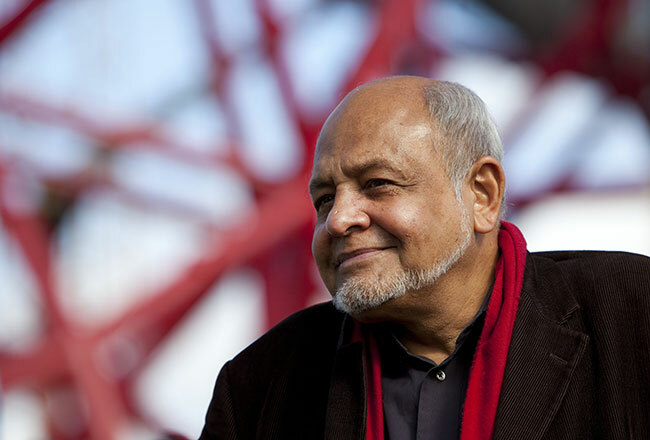 Cecil Balmond OBE is a Sri Lankan – British designer, artist, architect, and writer. In 1968 Balmond joined Ove Arup & Partners, leading him to become deputy chairman. In 2000 he founded design and research group, the AGU (Advanced Geometry Unit). He currently holds the Paul Philippe Cret Chair at PennDesign as Professor of Architecture where he is also the founding director of the Non Linear Systems Organization, a material and structural research unit. He has also been Kenzo Tange Professor at Harvard Graduate School of Architecture, Saarinen professor at Yale University School of Architecture and visiting fellow at London School of Economics. In 2010 Balmond set up his own architectural practice, Balmond Studio, with offices in London and Colombo. The research led practice is involved with art, architecture, design and consulting. One project is the Gretna Landmark, Star of Caledonia for which Cecil is the artist. It is an illuminated sculpture that marks the Scottish and English border crossing. He was appointed Officer of the Order of the British Empire (OBE) in the 2015 New Year Honours for services to architecture.